The force kicks off this January with Star Wars, a new series from Jason Aaron (Thor, Original Sin) and John Cassaday (Astonishing X-Men, Captain America). This series follows the events of Star Wars Episode IV: A New Hope, with Luke Skywalker and Rebel Alliance fighting against the Galactic Empire fresh off the destruction of the Death Star. Join Luke along with Princess Leia, Han Solo, Chewbacca, the droids, and more of your favorite characters! If you're looking to join a darker side of the force, subscribe to Darth Vader, a new series from Kieron Gillen (Young Avengers,Uncanny X-Men) and Salvador Larroca (Invincible Iron Man, Ghost Rider). Follow the toll on the man behind the mask after the destruction of the Death Star, and find out just what it takes to be the Dark Lord of the Sith! Subscribe to this ongoing series beginning in February. Finally, coming this March is a new series that follows the toughest princess in a galaxy far, far away — Subscribe to Princess Leiafrom Mark Waid (Daredevil, S.H.I.E.L.D) and Terry Dodson (Uncanny X-Men, Avengers & X-Men: AXIS)! The series promises a look at Leia like never before, focusing on the personal strength that saw her through her terrible trials after the destruction of her home planet Alderaan at the hands of the Galactic Empire. For those looking to subscribe to all three series, Marvel is offering a special bulk discount on three 12-issue subscriptions here! 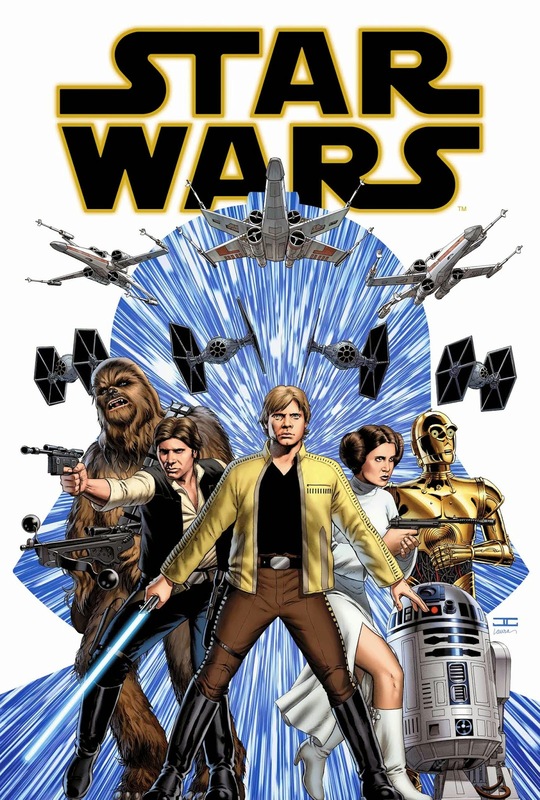 Save over 40% cover price when you subscribe to all three current Marvel Star Wars series! * You should give them a try! Actually, as Yoda would say, "Do. Or do not. There is no try." Subscribe today!